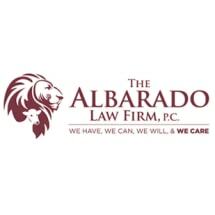 At the Albarado Law Firm, P.C., in Gainesville, Texas, we are committed to providing the highest level of service in representing clients with criminal defense, family law, or immigration law needs. Our understanding approach to legal representation is rooted in founding attorney, Emmanuel Albarado's philosophy, that “YOU ARE NOT YOUR MISTAKES” (guilty or not). Emmanuel knows what it is like to be the defendant in a criminal case and he learned both: that momentary lapses in judgment; and/or being charged for a crime that you did not commit, can affect you the rest of your life. The son of a World Champion Boxer (Oscar "Shotgun" Albarado), Emmanuel was born with a fighting spirit which frequently resulted in him getting into trouble with the law during his adolescent and college years. In adulthood, Emmanuel decided to turn away from his troubled past and allowed God to harness his fighting spirit to serve others through the practice of law. It was this change of heart that inspired Emmanuel to attend Regent University School of Law whose motto is, "Christian Leadership to Change the World," a mission in which Emmanuel does not take lightly. After graduating from law school, Emmanuel served as an Assistant County Attorney in Cooke County, Texas, prosecuting a wide range of criminal and juvenile cases. He decided to start The Albarado Law Firm, P.C., so that he could continue to focus his efforts on helping people in need. As a criminal defense attorney, Emmanuel has defended cases at every criminal level from a First Degree Felony Murder Trial down to a Class C Misdemeanor Traffic Ticket. At The Albarado Law Firm, P.C., we firmly believe that you deserve the opportunity to tell your story, and we will be there to fight for you every step of the way.